Richfield Springs, NY-Mrs. Grace A. Palmer, a longtime Richfield Springs resident, wife of the late Merton O. Palmer, entered into the arms of her Lord on Monday morning, November 26, 2018 in Albany. Grace was a long time resident of Richfield Springs NY and a short time resident of Little Falls. Grace was predeceased by her husband, Merton O. Palmer and grandson, Richard Naber and by her daughter In-law, Georgianne Naber. 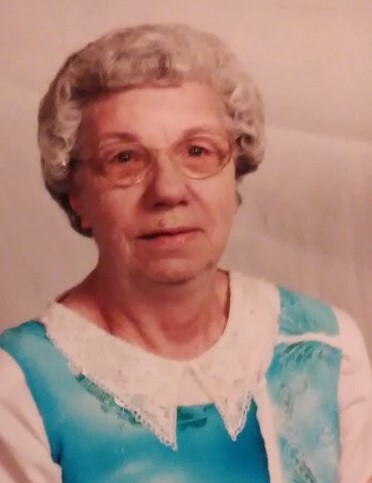 She is survived by her four children, Richard T. (Melissa) Naber (Candour, NY), Linda (Jim) Barhydt (Texas), John Naber (Virginia) and Norman (Whyonna) Naber (Chadwicks), cherished grandchildren, Kevin (Marie V.) Roberts ( Little Falls), Christopher (Nicole) Roberts ( Frankfort), Tina (George) Drass ( Pennsylvania), Ceaira Naber (Chadwicks), Katie Naber ( Richfield Springs), seven loved great-grandchildren and five great-great grandchildren. Grace always had a child like attitude on life and was always smiling and making others laugh. She was a long time member of the Norwich Corner Christian Church. Grace loved playing bingo at the senior center and playing cards and Wii with family. Mohawk Valley Funerals and Cremations, 7507 State Route 5 (corner of Bidelman Road), between Little Falls and St. Johnsville, 315-508-5131, has been entrusted with Mrs. Palmer's arrangements. Calling hours at the funeral home in the town of Manheim, will take place on Saturday, December 1, 2018 from 1-3 p.m. followed by a service to be conducted at the funeral home also on Saturday commencing at 3 p.m. with Pastor Walter J Wharram Jr., officiating. Grace will lay to rest in the Mohawk Valley Funerals and Cremations private vault, until the spring of 2019, when she will be laid to rest with her husband in Union Cemetery, Edmeston, NY.